This time it's for St. Dunstans. More information on the blankets for St. Dunstans at Michaela's Blog. I will have to admit I loved the colors on the skein, but once they knitted up I'm a lot less keen on them. My apologies to Michaela! 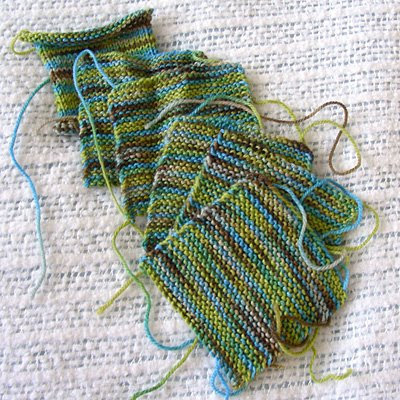 Next time I think I'll either work with self-striping yarn or solids.